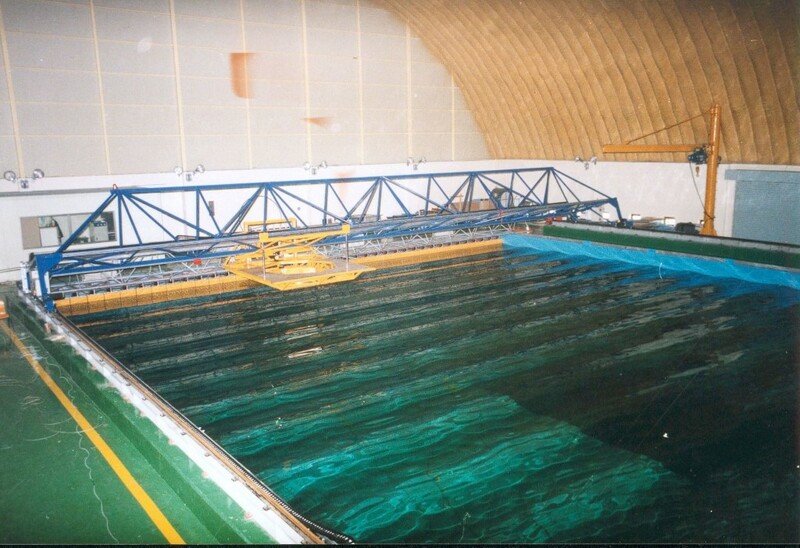 Towing carriages are mounted on rails above the tank and are used to pull models through the water. On larger tanks these can be ride-on carriages where the experimenters can work on the carriage as the experiment takes place. Narrower towing tanks are typically fitted with small carriages that the model can be attached to. 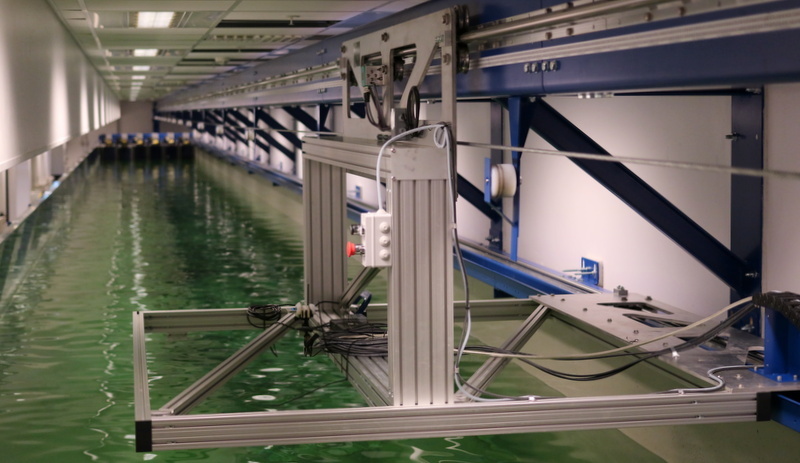 ED have developed a system for a facility in Bergen where both rails are cantilevered from the wall of the tank. This design provides extremely good access and visibility of the model. The carriage is capable of 5 m/s. 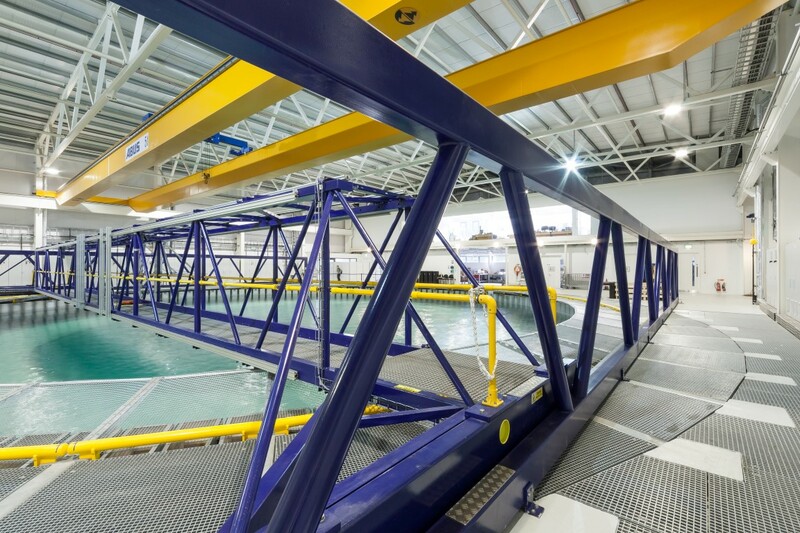 Instrumentation gantries are primarily used for mounting data capture equipment above wave tanks for static tests. They are motorised to allow easy and precise movement to the experiment location. 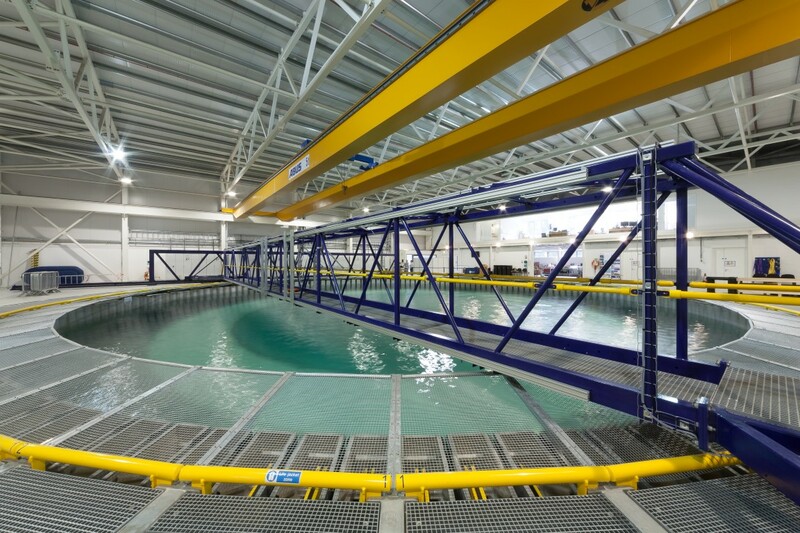 One such example is the 26m span gantry at the University of Edinburghs Flowave tank. 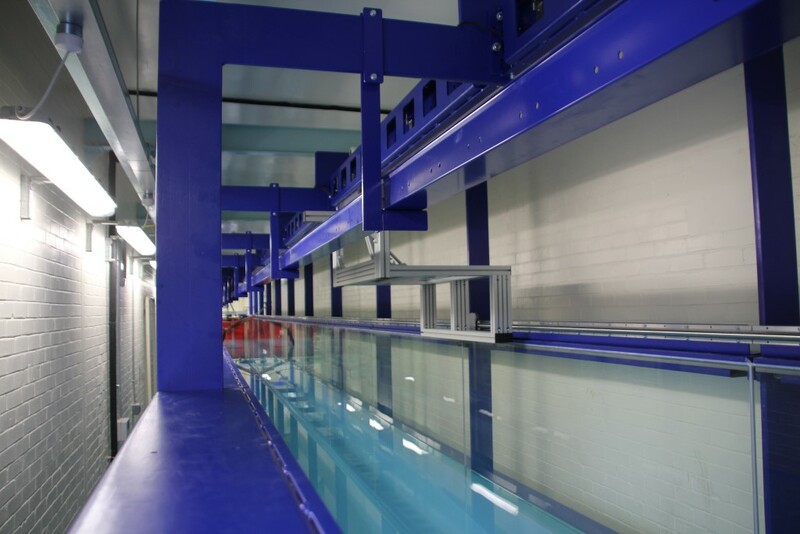 Our gantries allow for short experiment turn-around times, whilst also providing safe access to the middle of the tank. Gantries and carriages are equipped with versatile mounting rails to allow for easy attachment of experiment equipment and test models.